Several times in the last couple of weeks, people have asked me to repeat my philosophy on this subject . . . here it is in a nutshell. During the years when I was teaching, the parents of my toddlers often asked for parenting advice. Many of them were first time parents who were struggling with their child; however, some of the parents had several children and were confused because each child reacted differently. My first response is always — there is no magic potion to turn a person into a successful parent. However, I strongly believe in my three “golden rules” for rearing children. I not only lived by them in my own home, I also carried this philosophy into my classroom. (1) PARENT AS A TEAM — Mom and Dad must always appear to be a united front — even if in private they do not agree — because kids instinctively know how to divide and conquer. (2) BE CONSISTENT — This is paramount! If you say “no” to something — stick to it — no matter how many times the child begs. Same goes if you say “yes.” For example, if you say “Yes. We will go to the zoo” and it rains on that scheduled day . . . make sure you go to the zoo as soon as possible. Or . . . if you say “No. You can’t have that candy at the store’s checkout counter.” Don’t change your mind because you fear an embarrassing temper tantrum. You are only setting yourself up for bigger — more frustrating — battles in the future. Consistency is how children learn trust. It is also how they see and set their boundaries. (3) LOVE UNCONDITIONALLY. Make sure you do not use your love as a “weapon” or a “reward” for good or bad behavior. You can let the child know you are “disappointed” in his/her behavior/attitude/actions/reactions, etc . . . but make sure he/she knows . . . you will ALWAYS love him/her . . . no matter what! These three “golden rules” seem so very simple and relatively easy when written in a few short sentences . . . but it’s implementing them on a daily basis that makes it work! I truly believe . 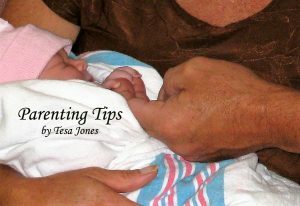 . . if you live by these three difficult and challenging parenting suggestions . . . make them the foundation in your family . . . you will build confidence in your child and you — hopefully — will not have too much trouble with discipline during the years ahead.